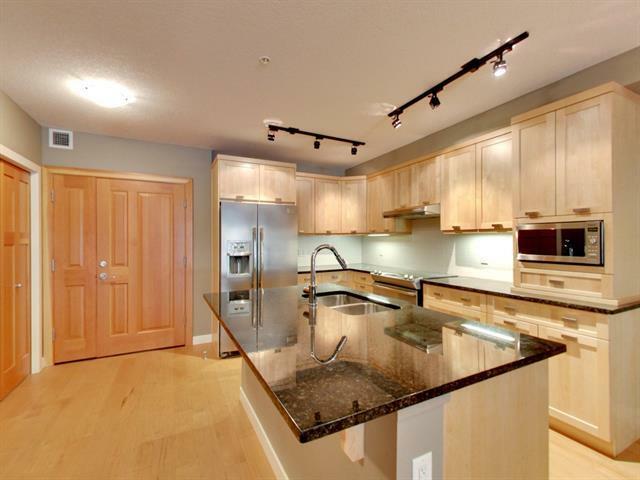 Beautiful open concept 1 bedroom plus den and 2 bath home. Large kitchen island featuring granite countertops with seating for 4 makes for a perfect entertaining area. The master bedroom has a 3pc ensuite and a large window with mountain views. 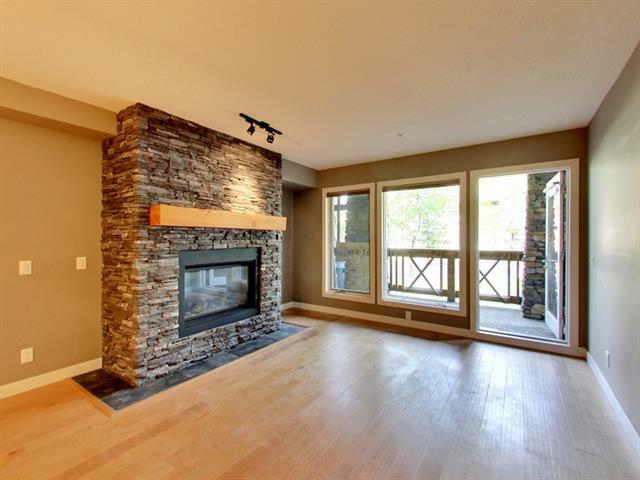 The living room features a gas fire place, large windows and easy access to the spacious outdoor patio. 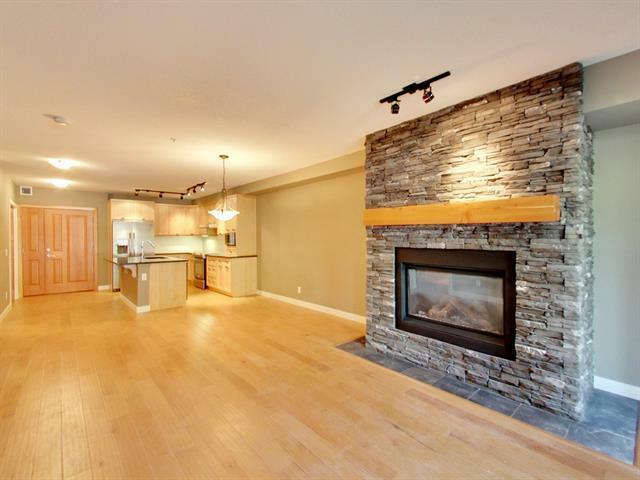 This home has a den which would work great as a second bedroom or office space. A centrally located second 4pc bath, and in-suite laundry finish off this perfectly situated full time home or vacation get a way. 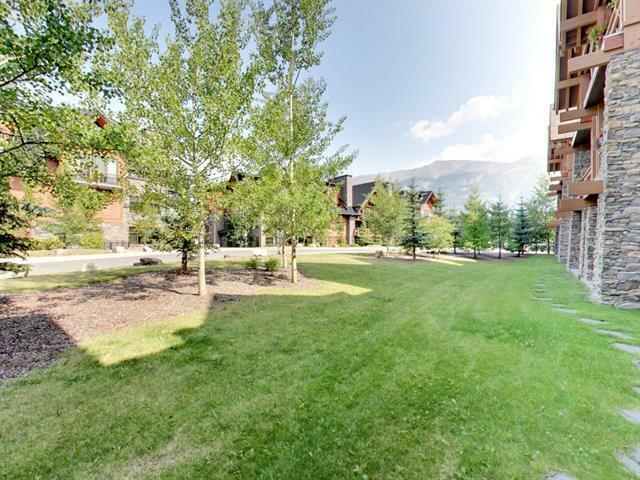 Separate storage area for all of your mountain toys is steps away from your heated underground parking stall. As well a hot tub is available for your apres ski enjoyment. Call and view today! !